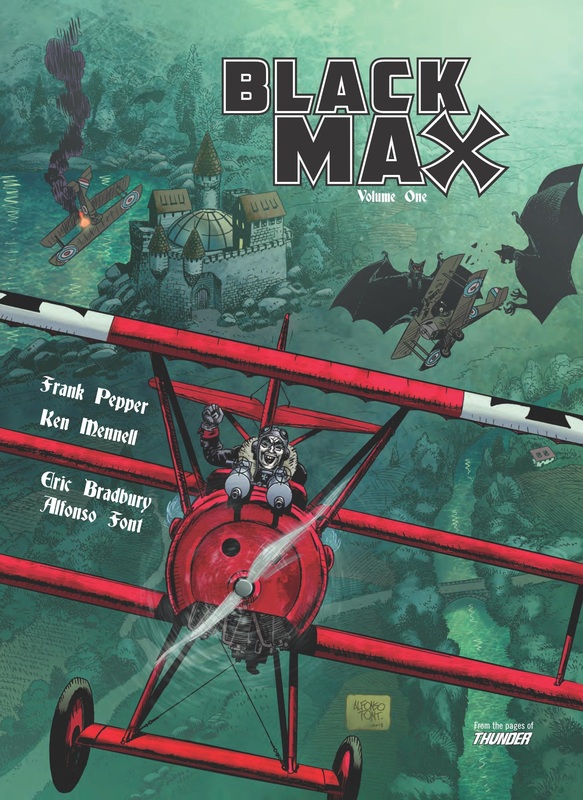 Black Max is an interesting choice for Rebellion’s Treasury of British Comics volumes. Other work reprinted under that imprint has either been the work of a fondly remembered master (Ken Reid’s Faceache) or strips from the 1980s and 1990s (Bella at the Bar), so likely to have a much wider audience. Black Max’s run was spread over two comics between 1970 and 1974, meaning the youngest original readers are now all well into their fifties. Can the marketing reach enough of them? Or is Black Max good enough to transcend the years? 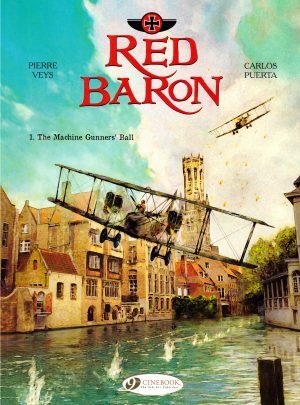 A World War I fighter pilot, Black Max has a deadly secret. 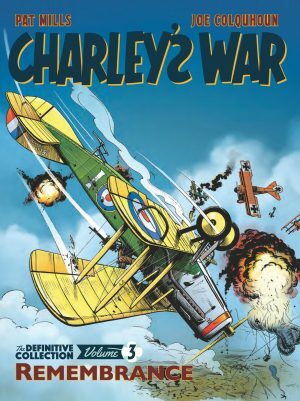 His remote German castle hosts a giant killer bat that he takes with him to the Flanders battlefields, the unfortunate Captain Howard the first allied pilot to fall prey. “From this day there will be such fear, such killing that soon no Britishers will dare take to the skies”, promises Black Max. It’s not long before Tim Wilson encounters the beast, surviving the first of many crashes and witnessing it retreating to its lair before daylight. Eric Bradbury’s kinetic style was seen over the first few episodes, designing the strip and main characters, but Spanish artist Alfonso Font (sample art) draws most of book, and he’s fabulous. 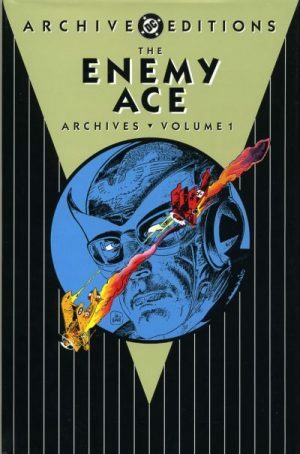 His attention to detail is evident in accurate representations of military hardware, planes and uniforms, his giant bats are fearsome, his Black Max is absolutely demented and his aerial combat wonderful. On the technical side Font’s use of shadows and shading is masterful, and considering this is a busy, action-oriented strip and what he packs into a panel, they never look crowded. He really raises the tone. 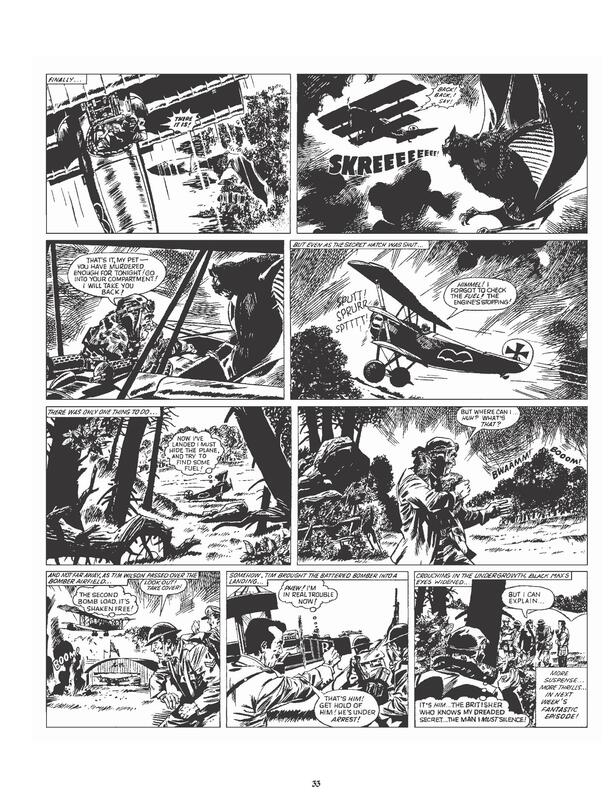 Frank Pepper and Ken Mennell aren’t credited for writing individual episodes, but Font recalls his collaborations being with Pepper, which would account for most of the strips here. Old enough to have lived through World War I as a child, Pepper’s comics career stretched back to the early 1950s, with Roy of the Rovers his most fondly remembered accomplishment during a long career. He was an old hand at filling three pages per week for boys’ adventure comics, but on the basis they were too young to notice repetition. 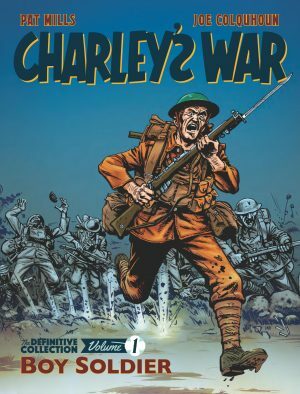 When he wrote Black Max there was never a thought it would appear as a collection, so Tim making a daring escape after being trapped behind German lines every three weeks or so, may not have been remotely likely, but it provided the thrills. Pepper filled the gaps with aerial combat, and after a successful introductory story knew just what would be more thrilling than a giant bat: a whole squadron of them. Pepper’s dialogue never transcends the “donner und blitzen! He shall not escape me!” template, but once he begins to concentrate more on the human combatants and restricting the giant bats the tension increases. In the vein of a Hammer horror film, Black Max can’t be taken remotely seriously, but in the right frame of mind it’s enjoyable claptrap, brilliantly drawn. That feeling however, might escalate to the blissful nostalgia of contentment to anyone who actually remembers the strip from their childhood.